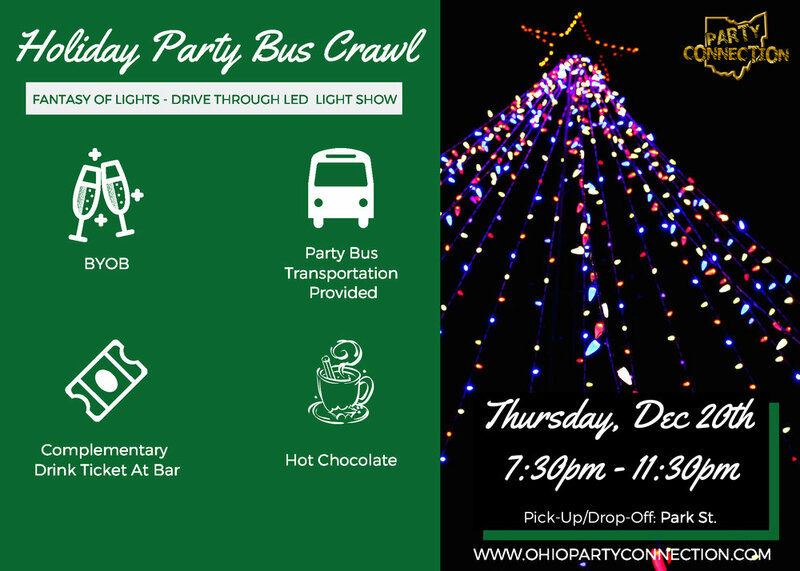 Get into the spirit of the holiday season by joining us on a holiday themed bar crawl and festive ride to Columbus’s best holiday light displays! 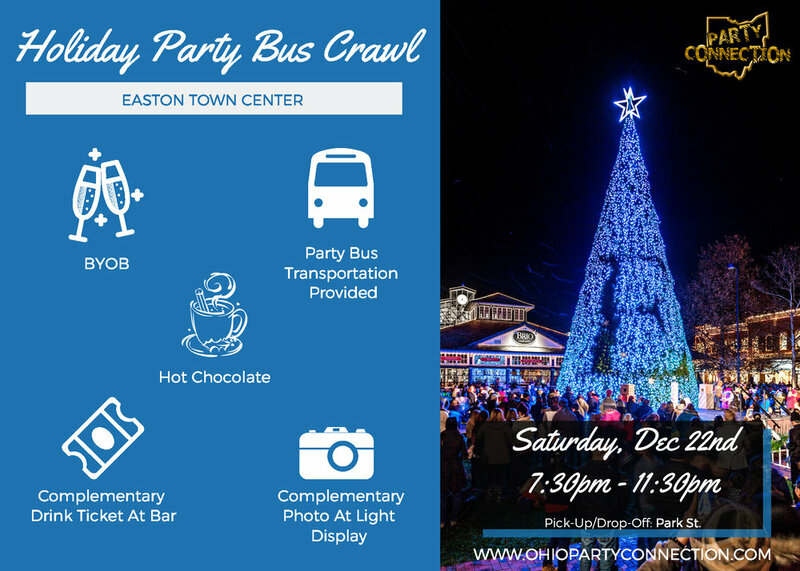 New Year's Eve PARTY BUS Bar Crawl Experience! 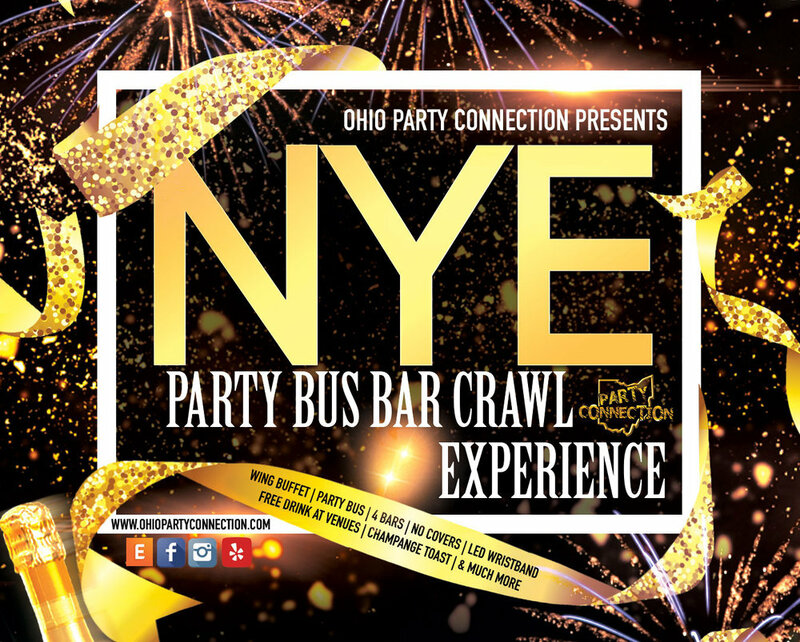 Ring in the New Year's Eve with OHIO PARTY CONNECTION and celebrate like you've never before, as we visit some of Columbus's hottest bars and party on the #1 RATED party bus experience in the city! An Experience You Will Not Forget! Join Us On A Curated Night On The Town And Explore Columbus's Unique Nightlife With Others Like You Interested In Seeing What All The 614 Has To Offer. Got an event coming up and you need something fresh and engaging for your guest?! We offer a photo booth with custom props, backdrops, photo filters and a photo-wall displaying all photos taken at your event!! It's a guarnetted hit at any event! Looking for a one of a kind tailgating experience? 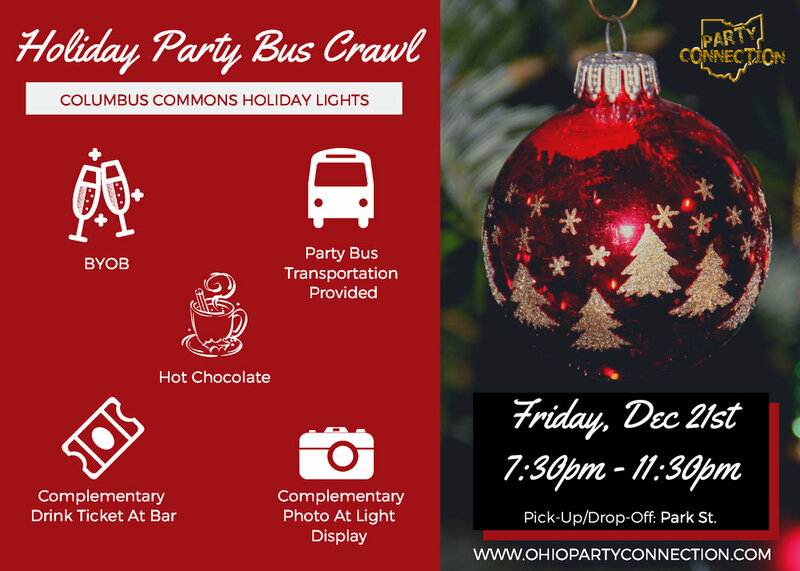 Rent our party bus to take your tailgate to the next level as you cheer the Buckeyes to victory! Our 40ft party bus is equipped with a 50inch 4K TV, high-quality immersive sound system and seating for over 35 people -- guaranteeing you a unforgettable tailgate experience that will be the topic of conversation for years to come!